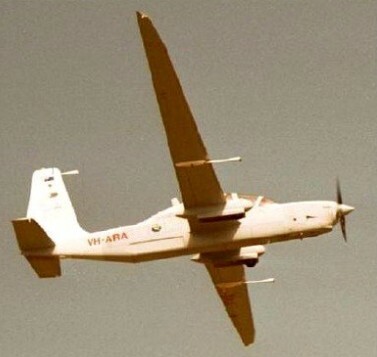 The Grob/E-Systems/AlliedSignal Egrett was a surveillance aircraft developed in Germany in the 1980s by an international partnership. It was intended to fill a joint Luftwaffe-USAF requirement for a high-altitude, long-duration surveillance platform for treaty verification and environmental monitoring. The turboprop-powered G-520 Egrett and Strato 1 high-altitude and long-duration research platforms are capable of carrying different electronic payloads in 12 separate compartments (first flown June 1987 in G-500 Egrett form.